KAABONG – From searching for insects, to birds, to different plant species with their unique names, animals, nature lovers in December braved the Lonyiri 25km nature walk in Kidepo valley national park and ventured out in the newly discovered nature walk, to indulge in nature. Once you’re bitten by the walking bug, go to Kidepo Valley National Park and the benefits, both physical and spiritual, will be limited only by your imagination and willingness for fitness adventure. It is generally accepted that the virtues of walking in untamed environments and having exposure to nature according to Psychologists reduce stress and boosts wellbeing. But most importantly one gains the full benefits of long-distance walking; builds up a strong physical base with a regular walking routine. Psychologists say that long distance walking or hiking opens a wide world of endless possibilities and better health for you. A group of researchers/ psychologists from Stanford University found out that wild environments boost well-being by reducing obsessive, negative thoughts. The study published in 2016 in the Proceedings of the National Academy of Sciences, the Stanford scientists examined whether a nature walk could reduce rumination in 38 mentally healthy people. 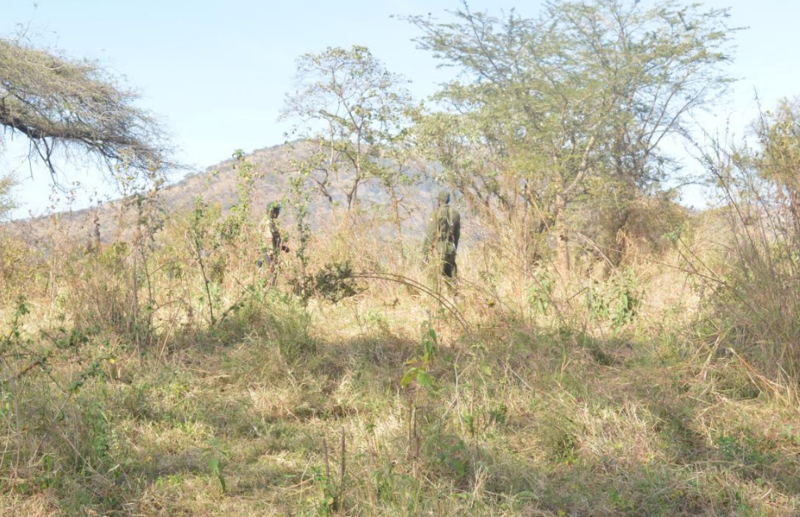 And if you are looking to get a feel of nature, but you don’t want to get so far from the touch of animals, Kidepo Valley National park now Lonyiri trail nature walks of about 25Km, away from the busy park to enjoy a quiet walk in this vast shrub land. The Lonyiri nature walk is blended with microscopes that enable one to see animals at distant places are great! Many a tourist will love to come here and relax at Akonya rock at Lodungule, the scene of the colonial police post in Kaabong and watching the sunset!, watching some of the birds not seen anywhere in Africa! This is a great area to bring the kids and unwind! The Lonyiri nature walk in Kidepo valley national park will bring you in touch with Napusmur summit in eight hours, depending on the time the hike starts. But a two-day nature walk could also be organized with shorter guided walks taken through the Narus valley extending to over 10km up to Akonya Rock. 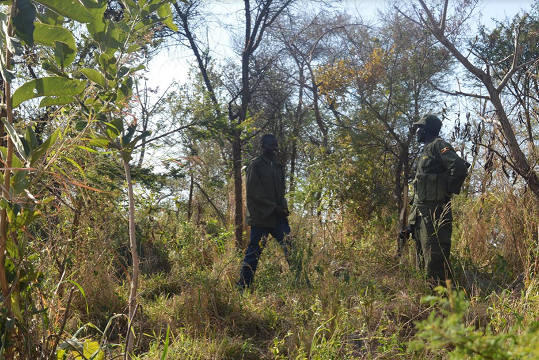 Mr Zacharia Lokwee, a tourist guide said the main idea of introducing the Lonyiri nature walk is to capture the imagination and creativity of tourists by giving them a particular pursuit when involved in a nature walk. “They do this by creating some kind of a guide or collection in whatever interests them. They get to make their own guide, booklet, or collection from their discoveries,” said Mr Lokwee. He revealed that walking provides a significant benefit because it helps to relieve stress and long distance walking like that of Lonyiri boosts endorphins, the feel-good hormones that improve your mood and lower stress and mild depression. Spectacular landscapes and great buffalo herds, with sprawling savannah and soaring mountains, make Kidepo valley National Park the most picturesque park in Africa. Mr Lokwee says Kidepo Valley has a very impressive bird list of over 470 species, the second-highest population of any Ugandan reserve, following only Queen Elizabeth National Park and that most of these reside in Lonyiri. “And the only way you can watch birds is to go Lonyiri nature walk. So visitors can easily see more species out there and with 56 species recorded, Kidepo is especially good for spotting raptors. Migratory birds are present from November to April,” said Mr Lokwee. The Tourism warden at Kidepo National Park Mr Stephen Nyadru says when you begin the nature walk in Kidepo; it is like an exploration because it proves to offer the best as far as ornithological trips are concerned. “The feeling that nature is something ‘other than you’ dissipates. You may initially come to the realization that whether or not you like it, you are dependent on nature for survival. And that it’s your responsibility to help sustain its resources,” said Mr Nyadru. Mr Nyadru says the southern Narus Valley, is a great spot to start your nature walk and birding experience. “And here you will see the attractive silver bird and small bands of Yellow-billed Shrike, frequent the thorn trees in the wilderness as you do a number of other widespread species such as the Vinaceous Dove, Hoopoe, Nubian Woodpecker, Mosque Swallow, the Ruppell’s and Superb Starlings, Scarlet-chested Sunbird, Little Weaver and Red-cheeked Cordon-bleu.,” said Mr Nyadru added. He explained that as you continue your spiritual journey though, you develop a ‘knowing’ from a deep place within that you also need nature to live a life of well-being and joy. He said as you move towards Akonya rock facing Narus you are chanced to see Baboons, White painted sooty, Stone partridge, Boron cistcolk, Clapperton frankolin [Endemic] bird only found in Kidepo valley national park. The Conservation area manager Mr Johnson Masereka says at Konyiri nature walk, they have resting places, which provide tourists with viewpoints for the entire Kidepo valley national park. “Elephants, Buffaloes, Lions. 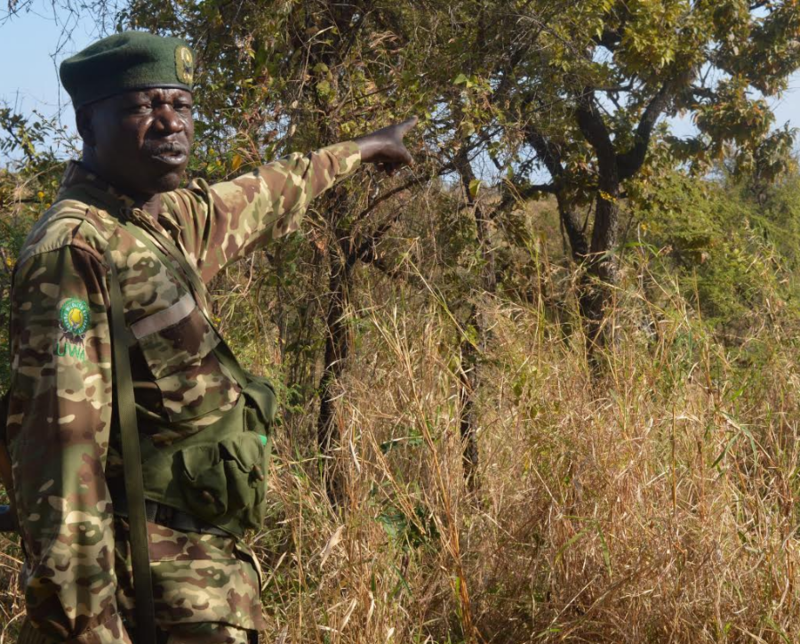 Baboons and Cheetahs, Clapperton’s, African Moustached and the Broad-tailed Warblers, Marsh Tchagra and Crimson-rumped Waxbill may be seen in the rank grass along the trail,” said Mr Masereka. Insects and Entymology: This is sometimes looked upon as being not for the squeamish but some tourists really enjoy it. Mr Nyadru says Bring along a magnifying glass a variety of small vials or containers for collecting samples and a pack or box to hold everything in. “Actually you could also just do drawings of the various insects you find if you would rather not collect them,” said Mr Nyadru. Rocks and Minerals: Mr Lokwee, says this is a really fun pursuit and the ultimate goal is to collect small pieces of a variety of minerals and rocks. “But of course this tends to be a bit more of a physical pursuit and it is great if you can bring along a variety of tools for digging and chipping. Just make sure everybody wears safety gloves and goggles when chipping at rocks,” says Mr Lokwee. Micro Biology: During the nature walk, you will also explore tide pools, streams, ponds or other water systems like marshes. Animal Watching: This can be a bit of a challenge if you plan on having your nature walk on a trail like Kidepo national park. But you would still be amazed by the variety of creatures you will discover when you are actively looking for them. Squirrels, pigeons, mice, chipmunks and so much more. Eco-System Nature Walks: Your nature walk doesn’t have to focus on a particular science. It can focus on eco-systems like tide pools, forests, woods, ponds, rivers, streams, oceans, prairies, or just about any other type of ecosystem or subsystem. Insects and Etymology: This is sometimes looked upon as being not for the squeamish but some children really enjoy it. Bring along a magnifying glass a variety of small vials or containers for collecting samples and a pack or box to hold everything in. You can also just have the children do drawings of the various insects they find if they would rather not collect them. Rocks and Minerals: This is a really fun pursuit and the ultimate goal is to collect small pieces of a variety of minerals and rocks. This tends to be a bit more of a physical pursuit and it is great if you can bring along a variety of tools for digging and chipping. Just make sure everybody wears safety gloves and goggles when chipping at rocks.